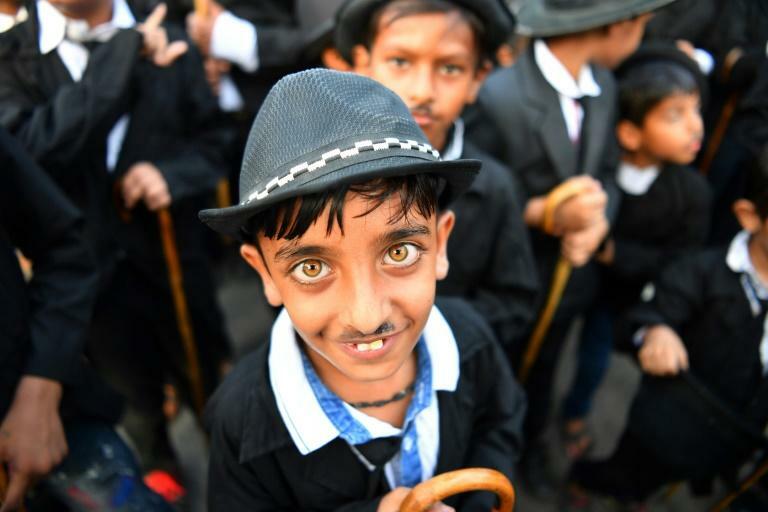 Wearing bowler hats and fake moustaches while carrying walking sticks, hundreds of Charlie Chaplin fans shuffled bow-legged through a small Indian town to celebrate the comic actor's birthday this week. Every year on April 16, residents of Adipur -- in India's far western state of Gujarat -- honour the legendary silent actor's birthday by imitating his slapstick style in a parade. 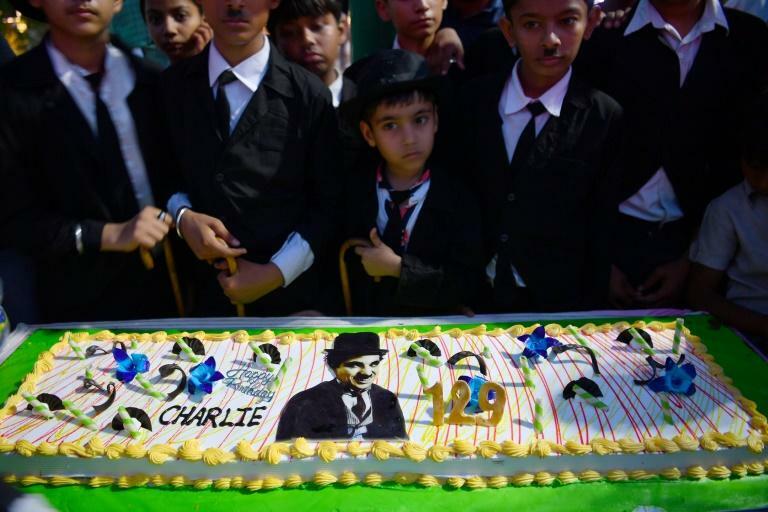 Participants, which include young and old, male and female, are members of Charlie Circle, a local fan club that has been marking Chaplin's birthday annually since 1973. 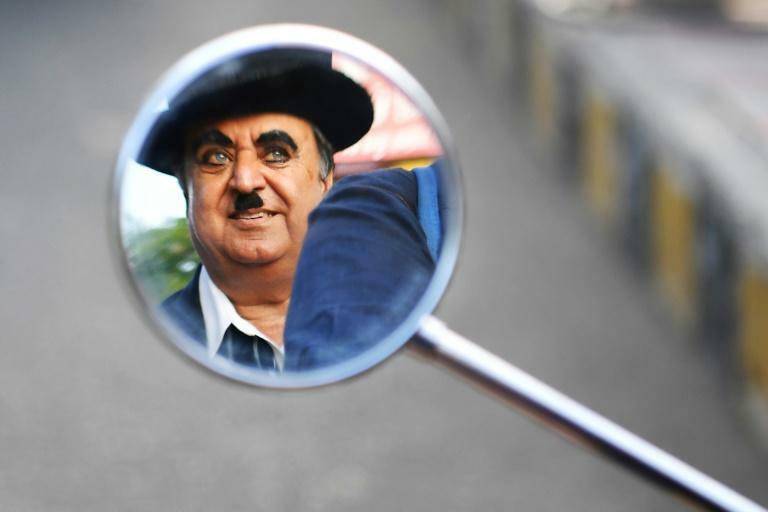 Chaplin enthusiast and impersonator Ashok Aswani set up the club. He was cycling to work one day in the early '70s when he passed a theatre showing Chaplin's 1925 hit "The Gold Rush"
He bought a ticket and went in. Aswani was immediately hooked and watched three consecutive shows, skipping work. He was fired from his job the next day. Aswani discovered that he enjoyed copying the mannerisms of Chaplin's most famous on-screen persona "The Tramp" and began paying homage to his new-found idol. "Earlier I used to celebrate his birthday alone by just cutting a cake. But then my neighbours started asking me what I was doing so I told them about Charlie Chaplin," he told AFP. "Gradually people started joining me in celebrating his birthday and the numbers swelled," added Aswani, a 70-year-old ayurvedic doctor. "We've done it for 44 years and this is the 45th." On Monday, Aswani was joined by roughly 300 others marching for the 129th anniversary of Chaplin's birth, a solid turnout for the event that started with one man. The suits were crumpled and the ties badly knotted during the two-hour-long procession. Many had used black marker pens to draw on Chaplin's trademark toothbrush moustache while others opted to stick on fake ones. Children wore Chaplin face masks while some carried life-sized cut-outs of the English-born filmmaker as a stereo loaded onto a truck blasted out popular Bollywood songs. "I was four when I started acting. My first memory is of climbing onto a camel (for the parade) as a young Charlie," Aswani's grandson, Talin Mavani, told AFP. "We used to celebrate Chaplin's birthday every year as if it was my birthday or my grandfather's birthday," he added. The 18-year-old is about to follow in his grandfather's footsteps by succeeding Aswani as president of the Charlie Circle. "We have a very wide-ranging variety of people in our club. The youngest member is two-years-old while the oldest is 70," Mavani explained. "To carry forward the legacy of my grandfather as leader of the Charlie Circle is a very big responsibility."